Alex Tietz out front near the start if the boys race. 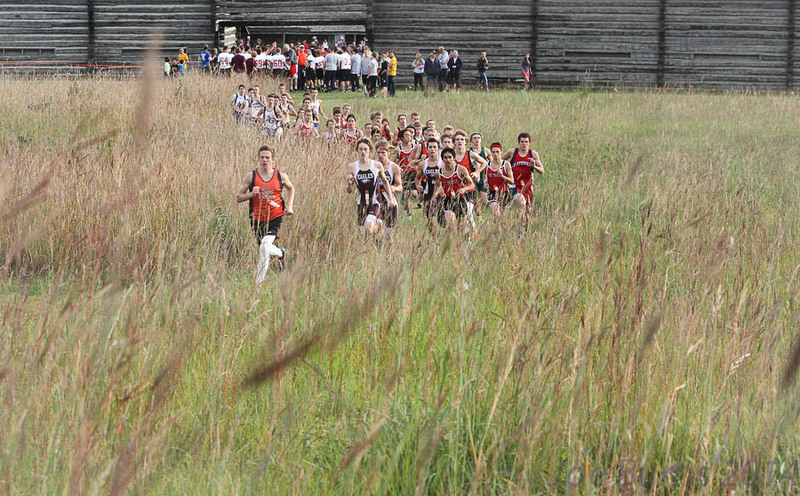 I always enjoy attending Fort Calhoun cross country meets – partly because the Fort Calhoun runners ae great kids, and partly because the Fort is such a beautiful place this time of year. Both the boys and girls Pioneer teams finished in second place. 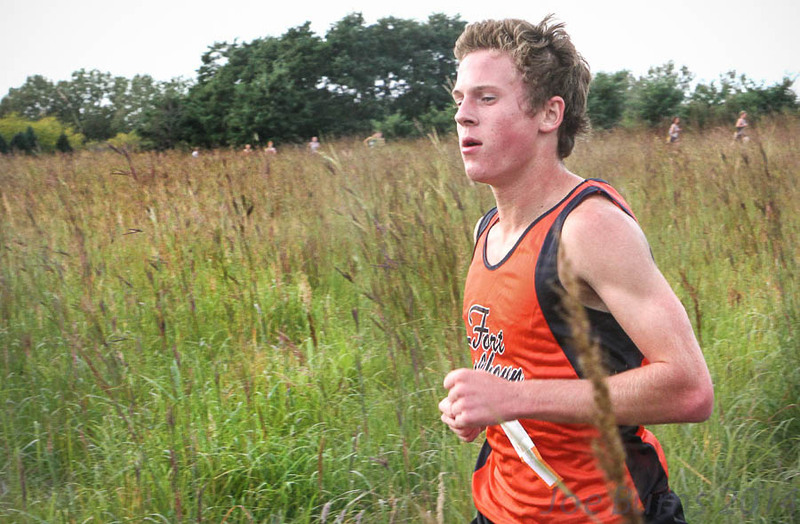 Alex Tietz was the top boy runner finishing with a time of 16:30.27. Many Hansen was the top Pioneer girl runner finishing in third place with a time of 21:14.11. 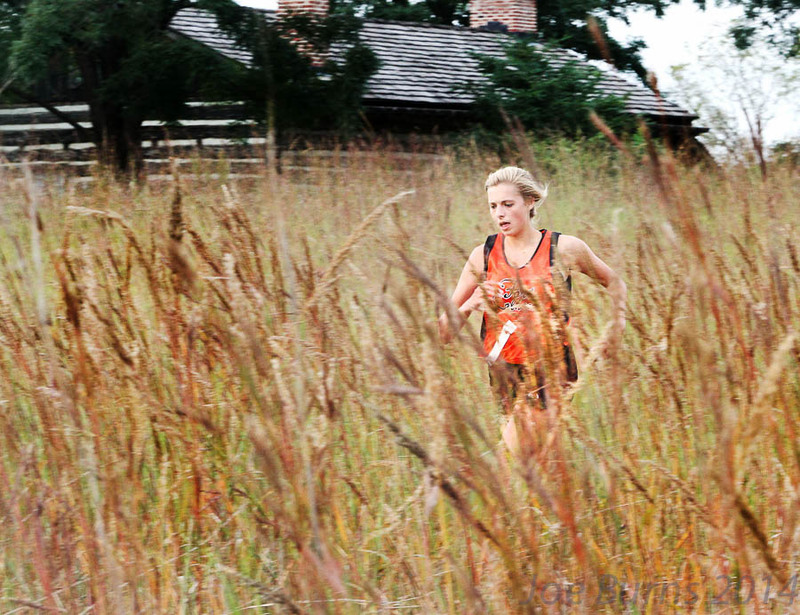 Mandy Hansen was the top Pioneer female runner finishing in third place. Peyton Griesert finished in third place. Arlington girls tied with Platteview for fifth place. Abby Hillmer finished in sixth place. Mandy Hansen followed closely by Anna Gepson finished 3 and 4. Fort Calhoun runners Ellie Shaffer, Abby Hillmer, and Delaney Bruehing.